Carpal tunnel syndrome is numbness, tingling and weakness in the hand because of pressure put upon the median nerve within the wrist. This nerve runs from the forearm to the hand through a small space in the wrist called the "carpal tunnel". 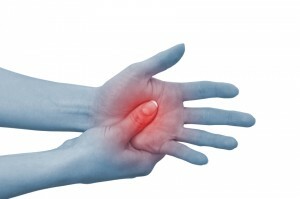 When there is pressure on the nerve running through the small opening, carpal tunnel syndrome can result. The pressure can come from swelling or anything that makes the opening shrink in size. At Ortho Sport & Spine Physicians, we offer patients treatment for carpal tunnel syndrome. This condition can be extremely painful, and it can also have a negative impact on professions that require the use of the hands and wrists (as in typing) or in sporting activities such as tennis and golf. Our orthopedic and sports medicine practice features a team of double board certified interventional spine physicians, interventional sport physicians and orthopedic specialists who are dedicated to helping our patients find relief from their pain. Our physicians focus on treating the cause of the symptoms that result in carpal tunnel syndrome. Using the most advanced and minimally invasive treatments, we are able to help patients with carpal tunnel find relief and return to full function. If you are suffering from symptoms of Carpal Tunnel Syndrome, contact our specialists at Ortho Sport & Spine Physicians today to schedule a consultation. We believe that you do not have to live with chronic pain in your wrists, and we are dedicated to helping you recover and live your best life.